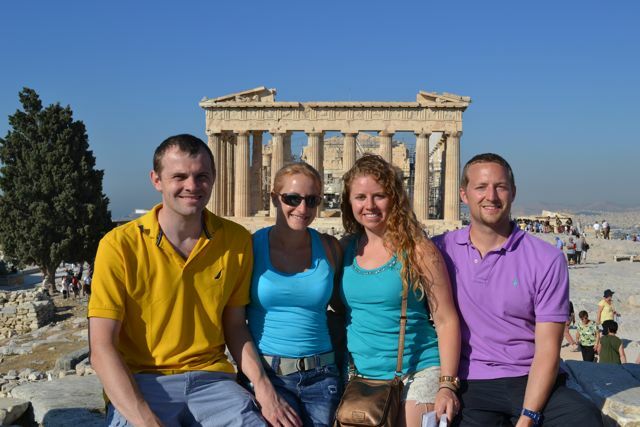 So our last stop in Greece, after Mykonos and Santorini, was Athens. Now to be honest, I wasn’t too excited for the Athens part. 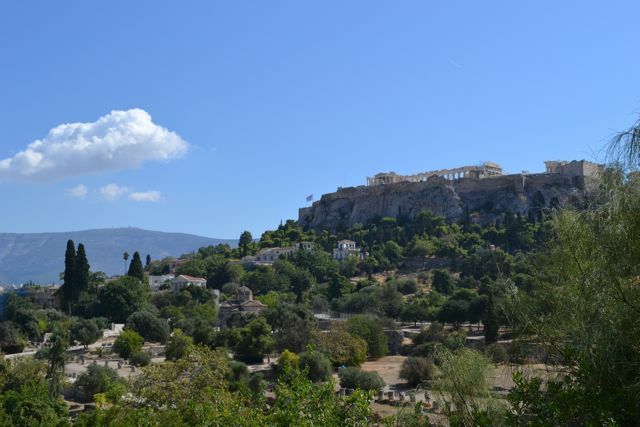 I had been thrilled to go to the islands, but most people (including a few Greeks themselves) had warned me that Athens was a dirty, expensive, crowded, huge metropolis with little charm. I had my expectations really low, and therefore, I believe I was pleasantly surprised. Sort of the opposite as with Santorini where I had my expectations incredibly high, and therefore, it didn’t quite live up to what I was hoping. Don’t get me wrong, it was still beautiful and picturesque, but I think all those postcard views kind of oversold it. Sometimes your preconceptions can really alter your experience of a place. If you are expecting the best, anything less will seem disappointing, whereas if you aren’t expecting much, anything decent will seem great. 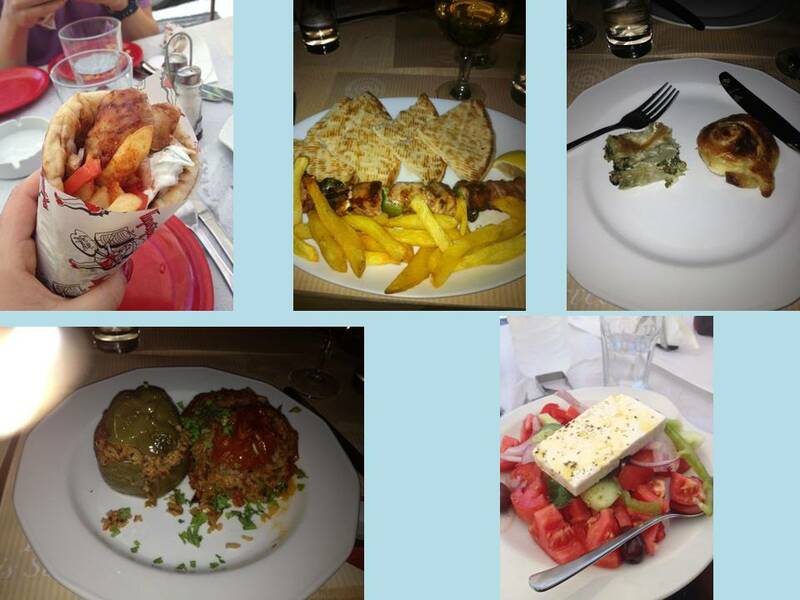 Therefore, Athens exceeded my expectations, whereas Santorini didn’t quite live up. 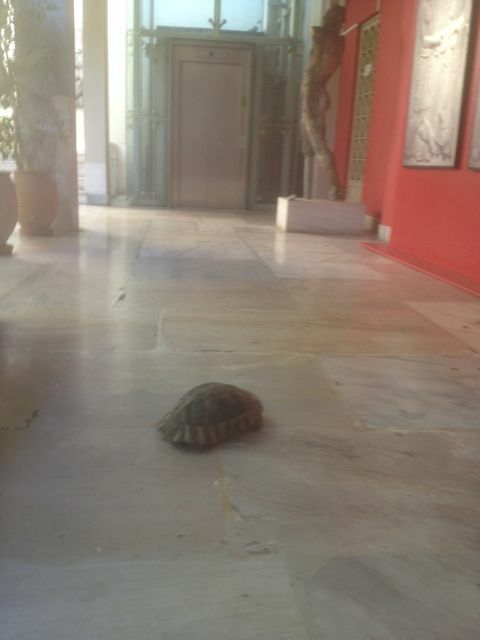 However, I still preferred Santorini to Athens. We didn’t have much time in Athens. We flew from Santorini to Athens on the evening of Friday, September 27th, and due to a delayed flight and a 45 minute metro ride from the airport to the city center, we didn’t arrive in Athens until quite late; I think it was close to midnight. Therefore, we just hit the sack and prepared for a full day of touristy sightseeing on Saturday. Saturday was basically our only day in Athens since our flight back to London was on Sunday. We had a lot to cram into one short day, so we made an early start. 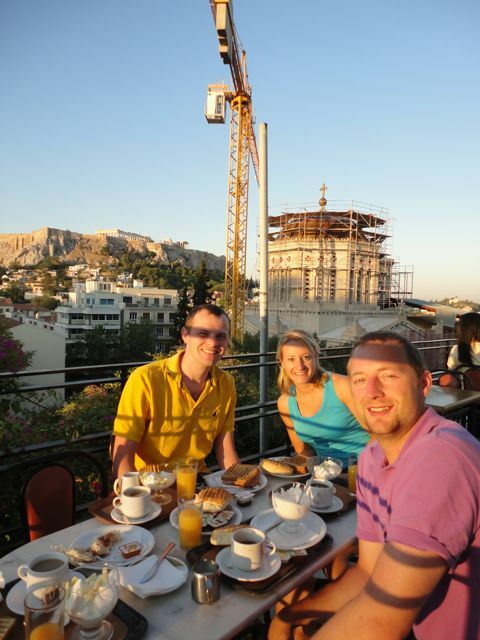 The hotel was called the Metropolis Hotel, and it had nice, although small, rooms and a rooftop terrace where we took our breakfast with a view of the Acropolis. I thought that part was fantastic! 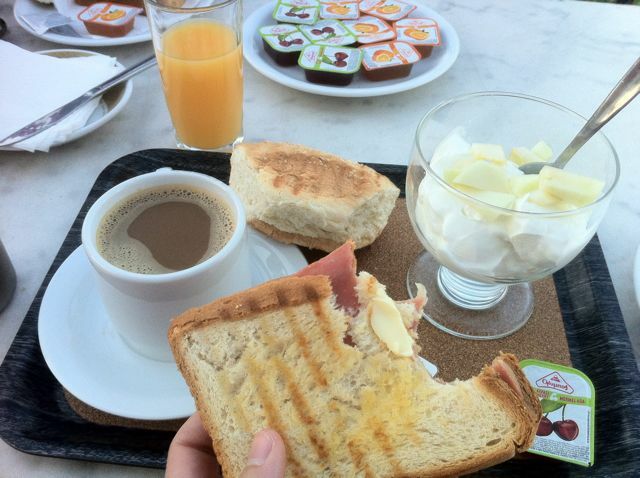 The breakfast, which consisted of a ham and cheese toastie, a toasted hamburger bun, and Greek yogurt with melon, was a little less than fantastic. 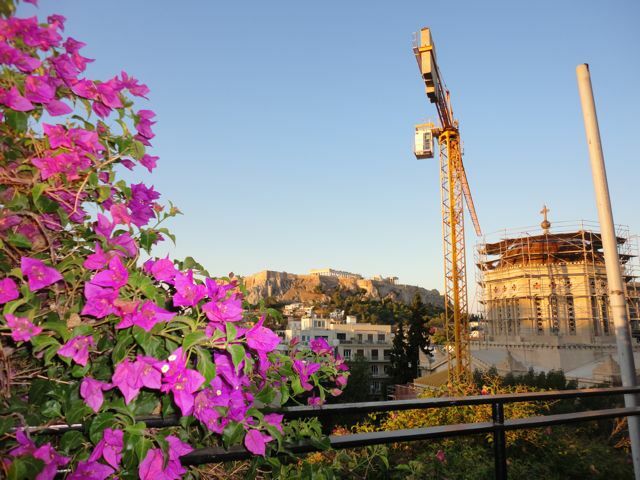 The Acropolis, which is the whole area on top of the hill, could be seen from our hotel rooftop. The view from our bedroom was only of the under-construction Metropolitan Cathedral. Apparently it has been under renovation since 1989. The Cathedral is the most important Greek Orthodox church in Athens, and it is the head church of the entire Greek Orthodox faith. I’m guessing you could compare it to the importance of St. Peter’s Basilica in Rome for the catholics, but if you do that, then you are very disappointed by its decrepit appearance. 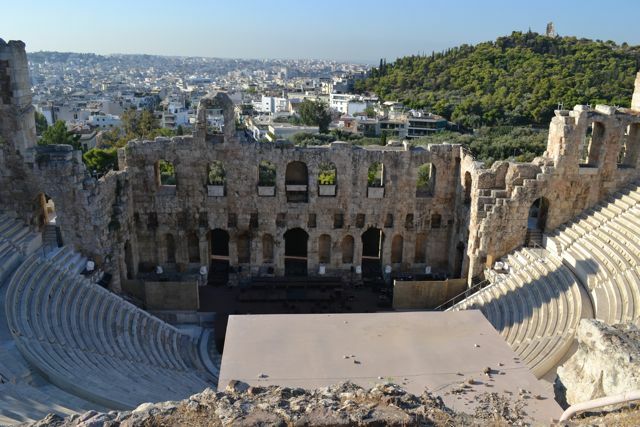 We fueled up, and with trusty Rick Steves as our guide for the day, set out to explore Athens. 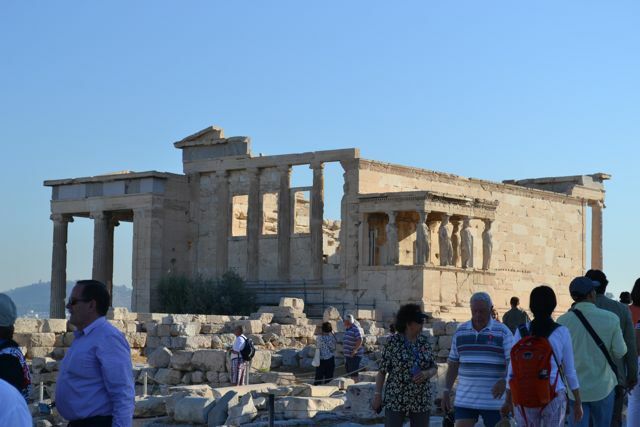 First up on the agenda was the famous Acropolis with the Parthenon. 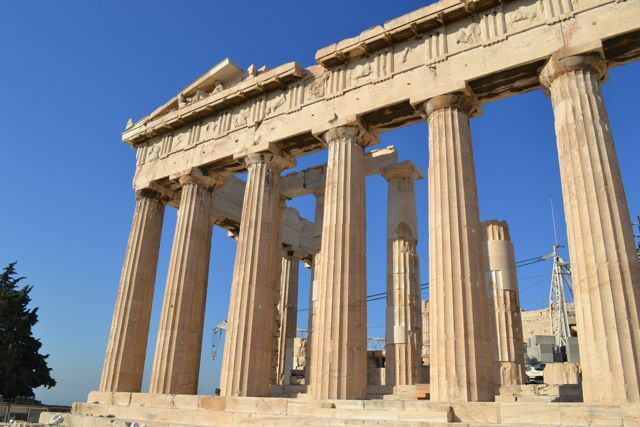 The Parthenon is the famous columned temple that used to house a 30 foot tall statue of Athena, the patron goddess of Athens. 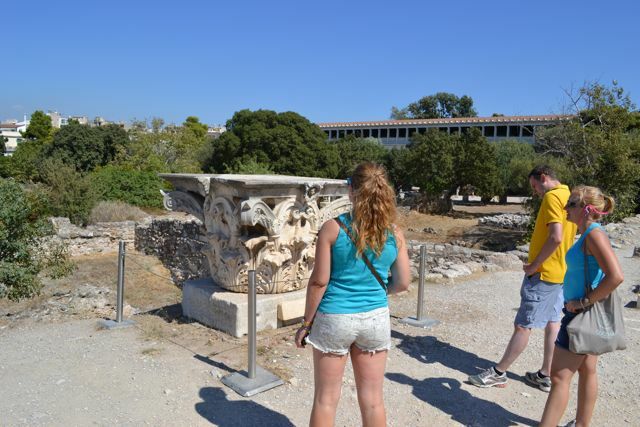 It also used to have all sorts of other statues and intricate artwork that have mainly been stolen by the British, namely Lord Elgin, and are on display in the British Musuem. 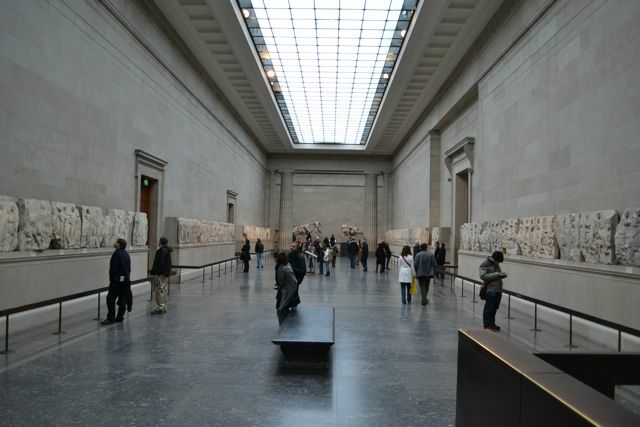 Luckily, we have been to the British museum and have gotten to see the so-called “Elgin marbles” so we were somewhat able to put the pieces together. It became a common theme throughout the day to hear that Lord Elgin had looted and run off with some ancient masterpiece. But we’ll get to more of that later. So the Parthenon is the most famous building, but the Acropolis is the whole ancient plateau top of the hill on which the Parthenon sits. We knew that this was the must-see site in Athens, and that it would only get more crowded as the day went on, so it was our first stop of the day. 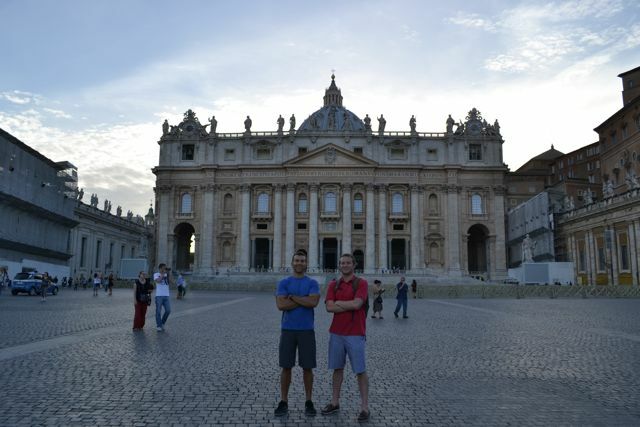 We were able to walk there from our hotel in less than 30 minutes, and see a few sites along the way, so that was nice. Once we arrived we found out that it was actually free to visit that day. 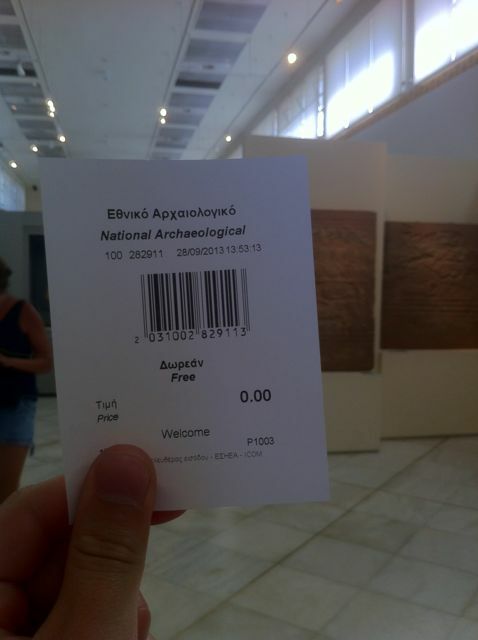 In fact, almost all of the museums and ancient sites around Athens were free that day. No explanation as to why they were free, but hey, we weren’t gonna argue. 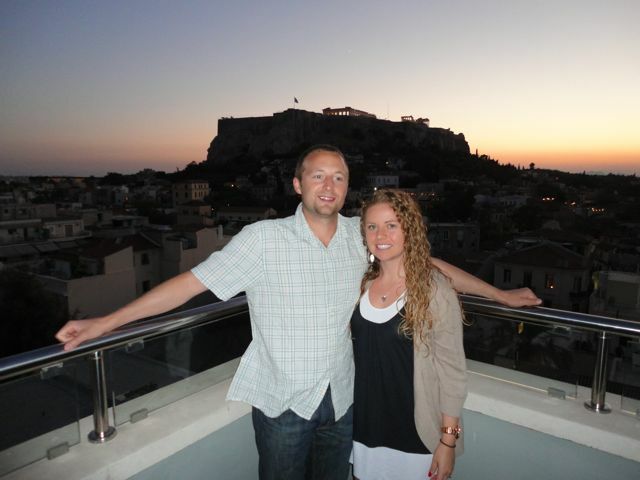 The view from the top of the Acropolis was amazing. 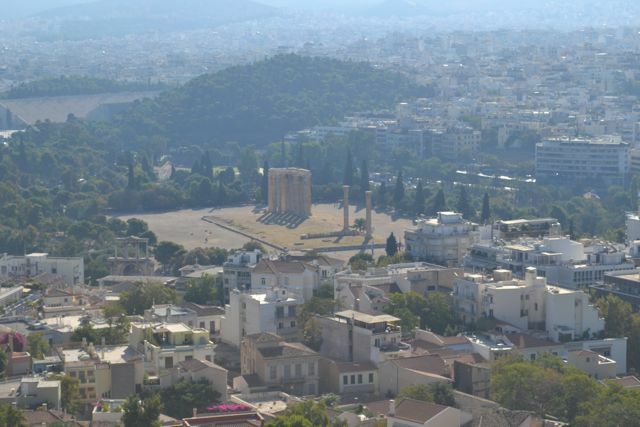 You could look out in every direction and see the massive sprawl and concrete jungle of Athens. 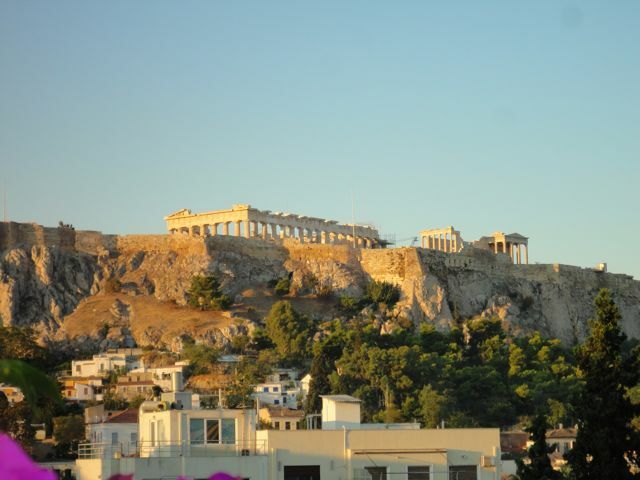 There are about 4.5 million people living in Athens, and that means that 1 in every 3 Greeks lives there. The city’s population expanded extremely rapidly at certain pivotal times in its recent history, thus causing the overcrowding and cheap housing. The city could never be planned, but instead had to simply react to huge influxes in people. 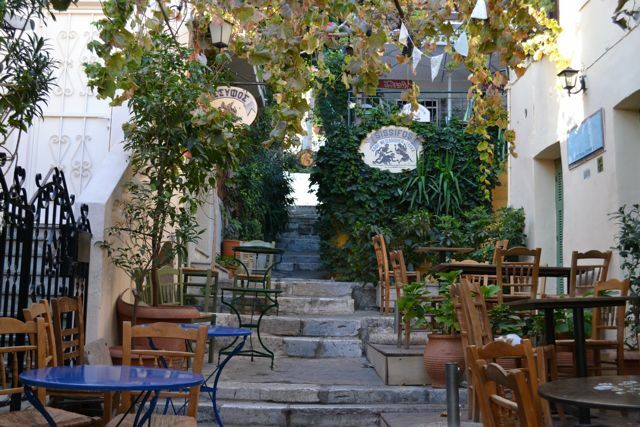 This is probably one of the main reasons that Athens doesn’t seem to have much charm. The traffic is awful, everything is really crowded, and the housing and buildings (minus the ancient sites) seem to just get the job done. Apparently the pollution used to be pretty bad, but that has luckily been cleaned up in recent years. There is one other major downside to Athens, or actually all of Greece for that matter: you cannot flush paper down the toilet. Literally, every restroom that you go in has multiple signs posted instructing you to not throw paper in the toilet. This is written in both Greek and English, and sometimes other languages as well. Instead, you are supposed to throw your used toilet paper in the trash can… which leads to very dirty and smelly restrooms. I asked my Greek colleague why they had this strange rule and he informed me that there were a multitude of reasons. Basically, Greece is prone to earthquakes, which can bend and shift the pipes, so paper might cause blockages (not sure why other, potentially bigger, items that go down the toilet wouldn’t also cause blockages?). Additionally, the soil is very rocky, so the Greeks cut corners on digging the pipelines and often don’t do a proper, standard job, so it is best not to throw paper in the toilet. Wow. That definitely doesn’t add to the charm of Greece. 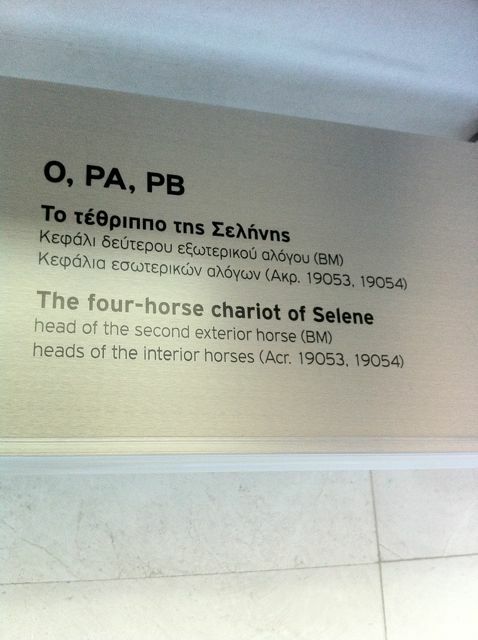 But anyway, enough about toilets… on to the Acropolis Museum. 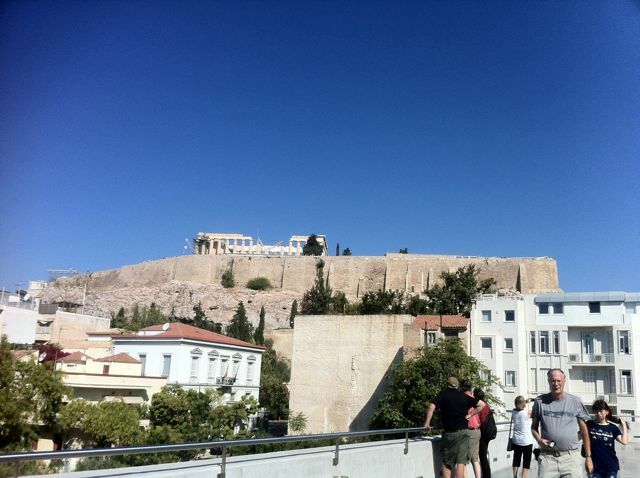 At the bottom of the Acropolis rock is the Acropolis museum. This museum is an impressive, modern building that was recently built in 2009. 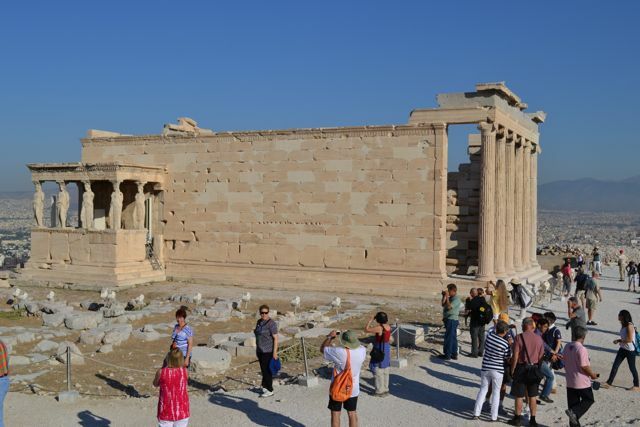 It houses a lot of artifacts from the Parthenon, and unfortunately, a lot of replicas of artifacts because Lord Elgin stole the real ones. 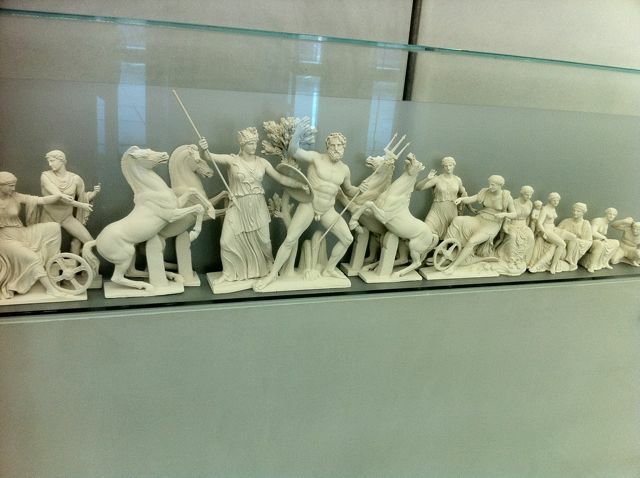 The best part of the museum was the 3rd floor which was a sort of reconstruction of the Parthenon. The entire 3rd floor has been shifted to be at the same angle as the Parthenon on the hill that you can see through the massive glass windows. 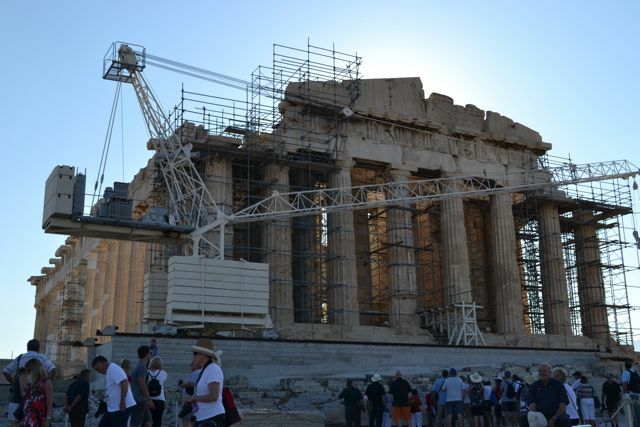 The intricate carvings and statues which would have been found on the Parthenon have been displayed at the precise location on this floor, sort of reconstructing how the Parthenon would have looked. 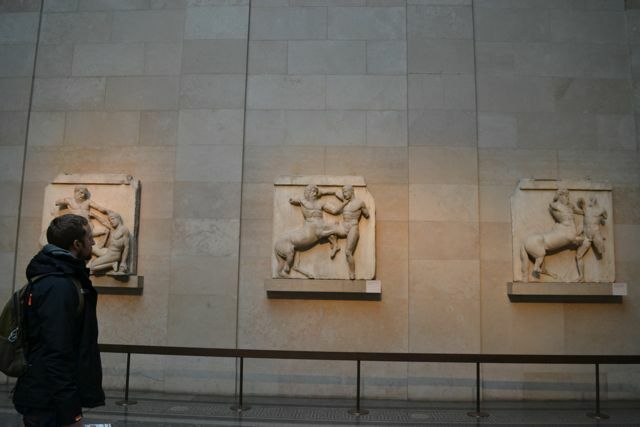 However, most of the displays were marked with a “(BM)” indicating that it was a replica and the real one was in the British museum. 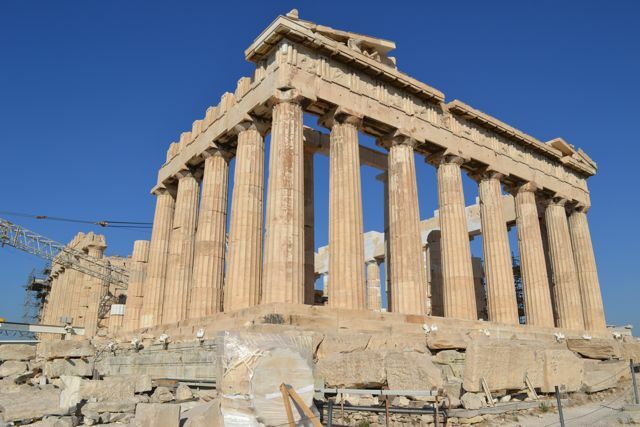 There was even a short video about the Parthenon, in which they accused Lord Elgin of looting the ancient masterpieces. 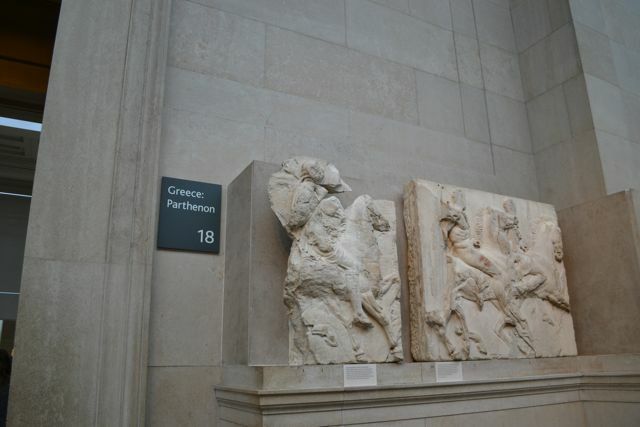 We found it really amusing how often the Elgin Marbles were mentioned, and naturally we proceeded to blame Hamish for all of Britain’s wrongdoing, since he was the lone Brit in the group. 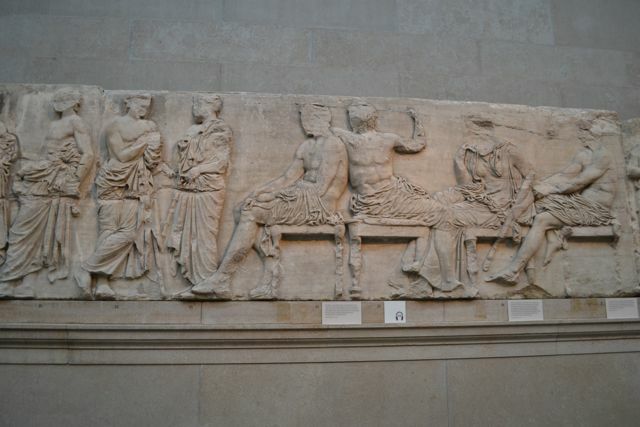 Anyway, I thought the Acropolis Museum was very well done, and it will be even better once all of the Elgin Marbles are put back in their rightful place. 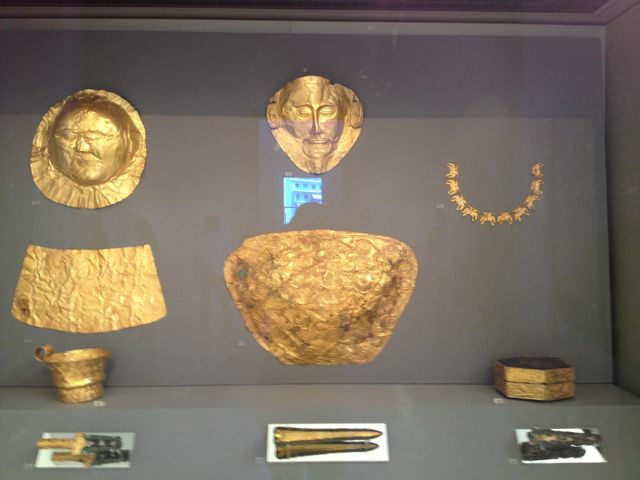 We weren’t really allowed to take pictures in the Acropolis Museum, but don’t worry, we were allowed to take pics in the British Museum when we were there last fall, so the next 4 pictures are some of the stuff that the Brits looted from the Parthenon. Most of the morning had been consumed by the Acropolis and its museum, so we took a midday break for some gyros, flea market shopping, and more sunscreen application. 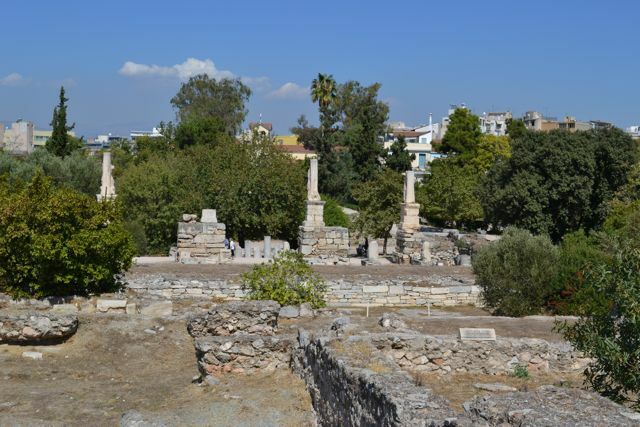 Our next stop was the Ancient Agora, which was the former downtown of ancient Greece. 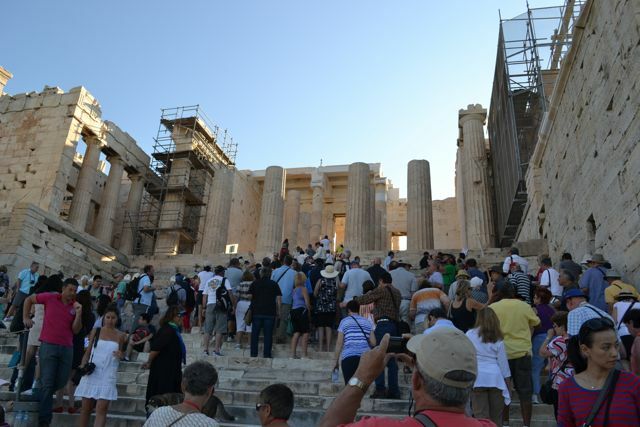 The Acropolis was the showcase where special events occassionally happened, but the Agora was the hub of everyday life. It was where Socrates debated and where democracy was founded. Luckily, we followed our Rick Steves walking tour through this site because it was mainly in ruins. We would have been looking at a lot of rocks if it weren’t for Rick putting some meaning behind it. There were many “stoas” in the Agora, which were basically covered shopping markets. 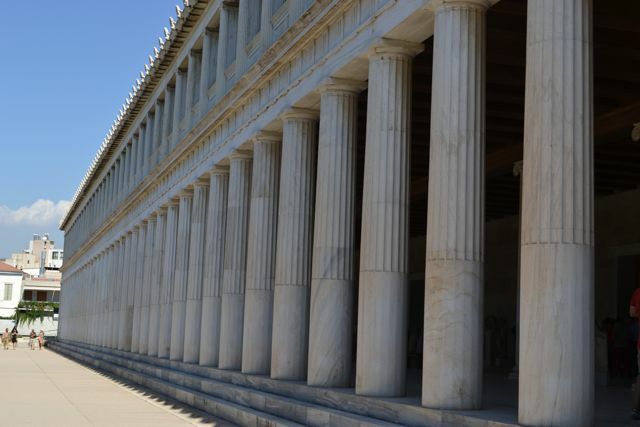 Most were in ruins, but the Stoa of Attalos has been reconstructed. 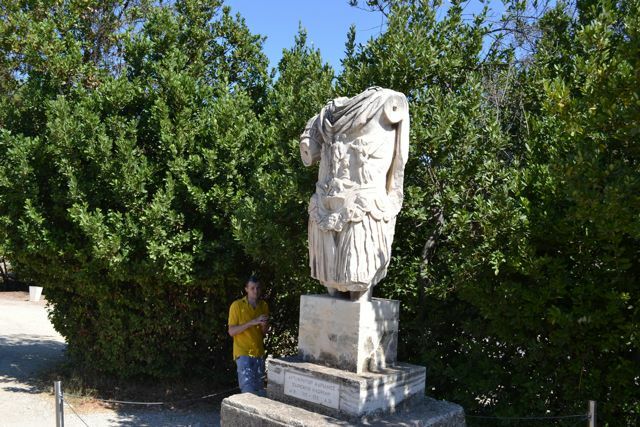 Statue of Hadrian, the Roman Emperor who loved all things Greek. Some foreshadowing for a trip this weekend to Hadrian’s wall in the UK. 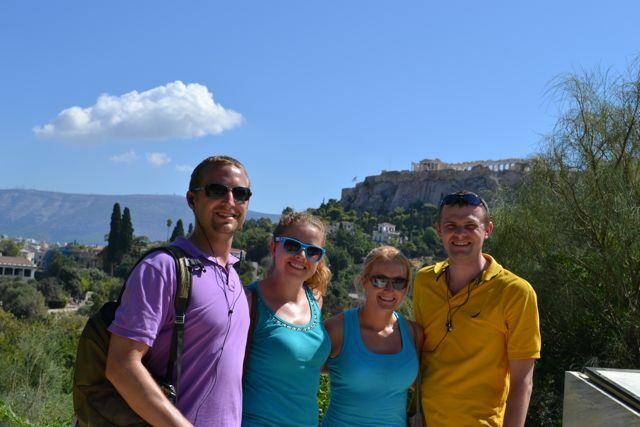 After touring all of the Ancient Agora, the group split off in two. 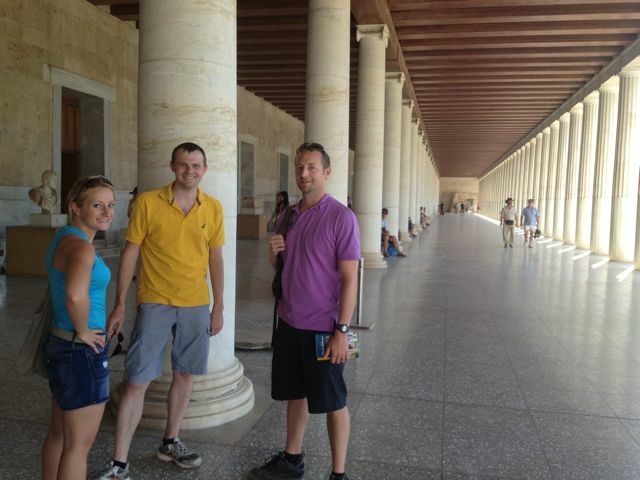 Doug and I went to check out the National Archeological Museum, while Megan and Hamish were museumed-out. They were unsure of their plans but ended up going to the Olympic Stadium, which they said was pretty cool. 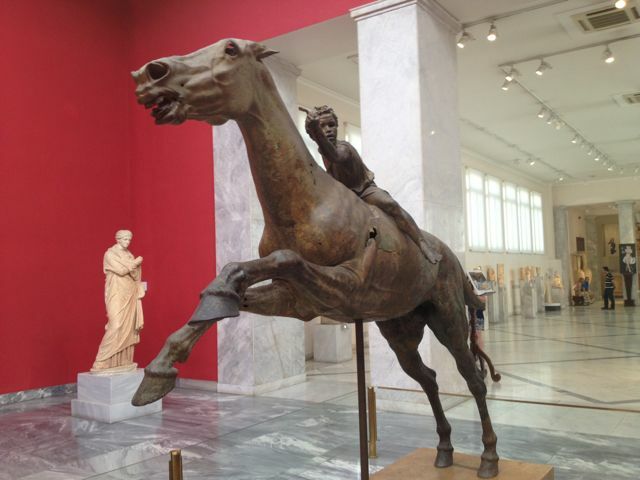 We hopped in a taxi and headed for the National Archeological Museum. Taxis seemed to be everywhere in Greece; they were actually handier than the metro, and fares were really reasonable, especially since you could bargain with them. Before heading into the museum we had to get some iced coffees as a pick-me-up to make it through another Rick Steves tour. 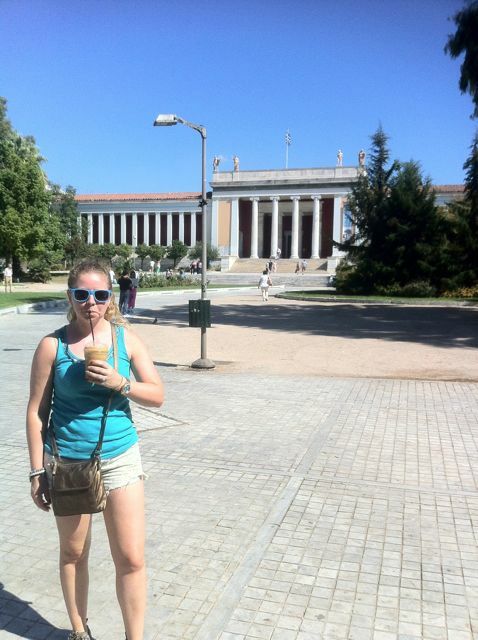 I’m not sure if it was the coffee, but I actually quite enjoyed the National Archeological Museum. 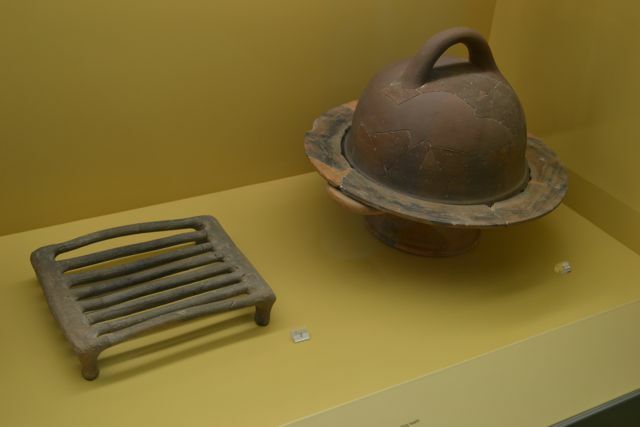 It had Greek artifacts dating from prehistory (7000 BC) all the way to the Late Roman empire (500 AD), and it was all displayed chronologically which was a huge plus in my book. I won’t go into too much detail, but we were allowed to take pictures, so I’ll just put some of the exhibits that I thought were cool. 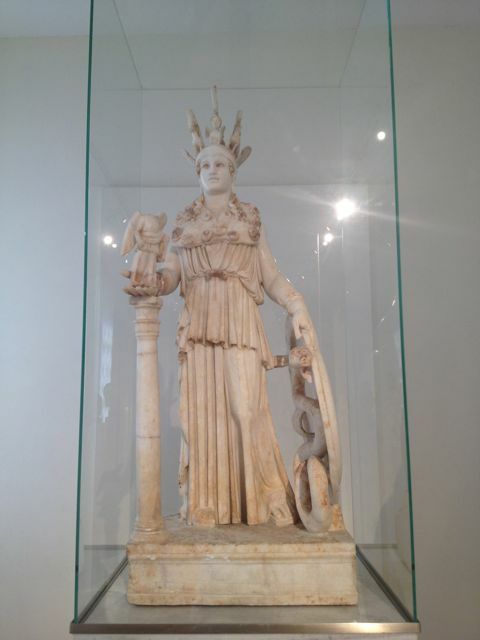 Scaled replica of the 30 ft statue of Athena that used to be housed in the Parthenon. They have no idea where the real statue went, although we concluded that it is probably in Lord Elgin’s basement. 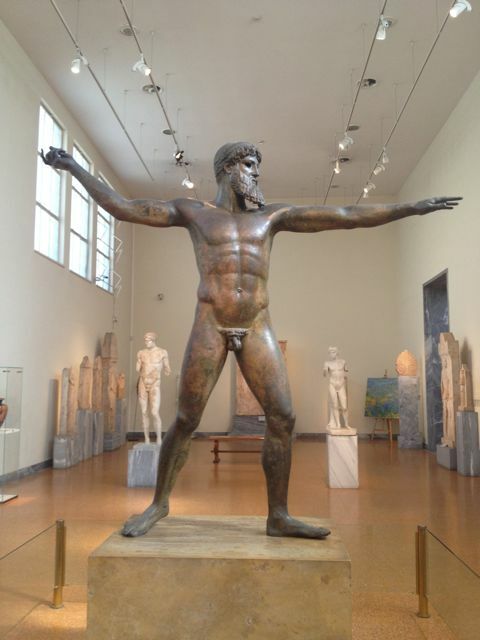 This bronze statue, from around 140 BC, was made in a similar way to turbine blades today. A clay model was created, which was then covered by wax, and then another clay mold over the wax. Then the wax was melted out leaving a hollow space for the casting (i.e. molten bronze). 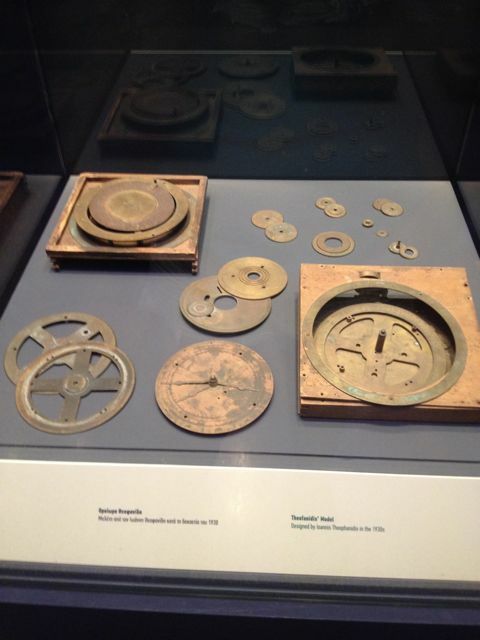 Surprising how the technology was already there at that time in history! After exploring the museum, we were exhausted. We made it back to the hotel for a little rest before we headed out for our evening meal and drinks. 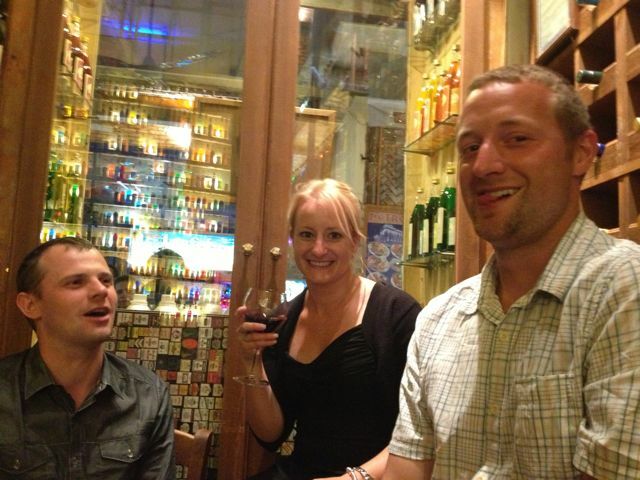 Athens reminds me of Spain in the fact that people were dining pretty late and the partying lasted into the morning. 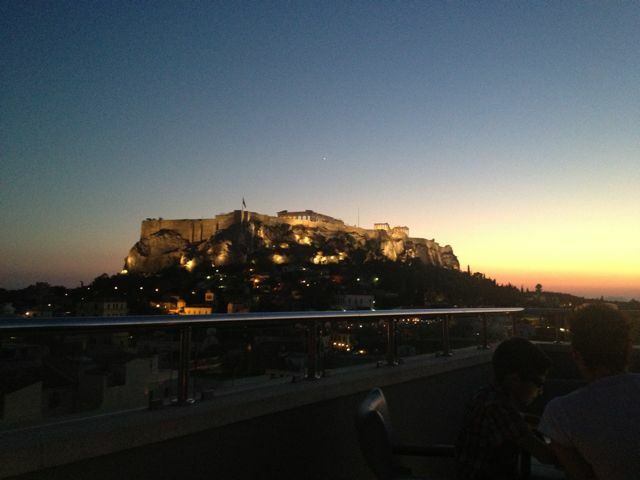 We had some pre-dinner drinks at a nearby rooftop lounge as we watched the sunset behind the Acropolis. Then we had dinner by the previous restaurant steps picture, and finally hit up a few more bars, including one with homemade ouzo, which is an awful Greek liquor that tastes like liquorice. 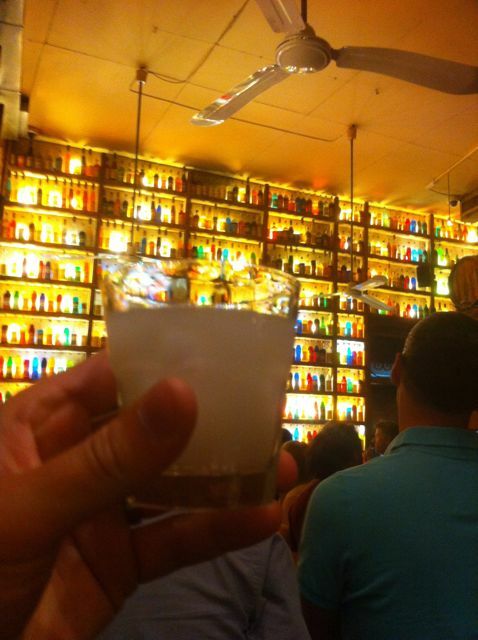 We ended the night in the Gazi area, which is known for its nightlife. 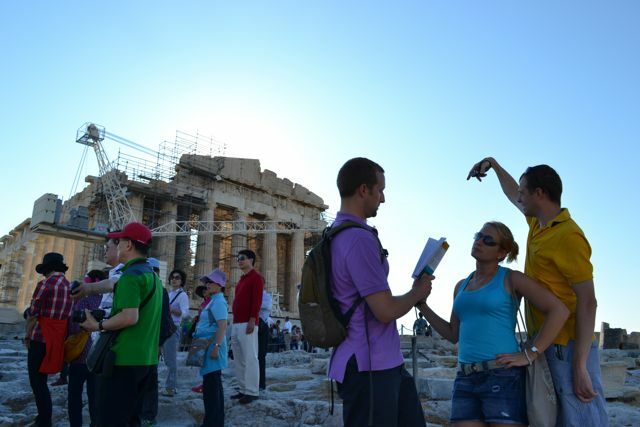 Overall, I think we really fit in a lot in Athens even though we only had one full day. It would obviously be ideal to have more time and see more stuff (there was tons we didn’t see), but I think if I had more time in Greece, I’d rather spend it on the islands. Overall, it was definitely one of my favorite trips so far. I think Mykonos was my favorite, followed by Santorini, and then Athens. 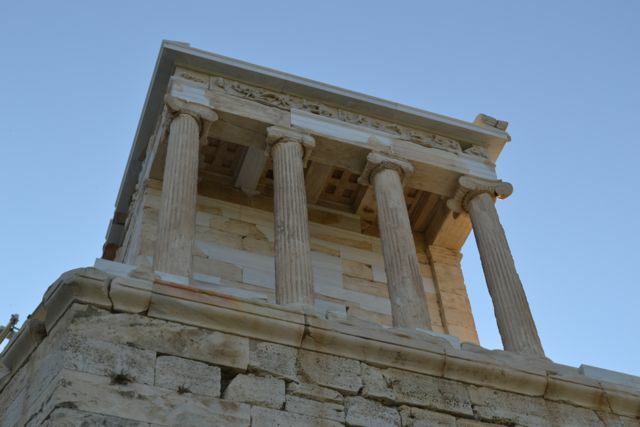 The islands were definitely more relaxing and beautiful, but I’m glad I got to see some of the Greek history in Athens. 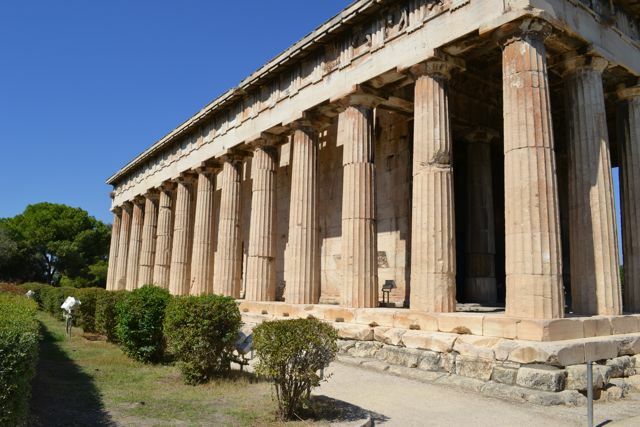 This entry was posted in Greece and tagged Acropolis, ancient ruins, Athena, Athens, British Museum, Elgin Marbles, frape, Greece, history, Lord Elgin, museum, National Archeological Museum, ouzo, Parthenon, Rick Steves, taxi, toilet by tgtexasgal. Bookmark the permalink.